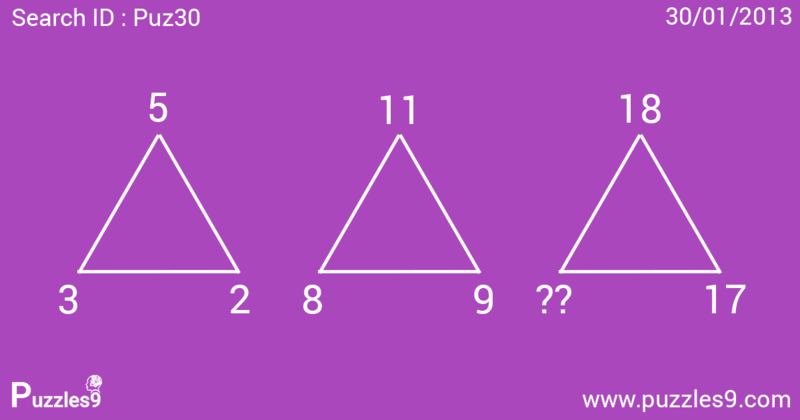 which number is missing from last triangle ?? Numbers are following the below order. Add 6 and then 7 to the top numbers. Similarly add 5 and 6 for bottom left and 7,8 for the bottom right numbers.